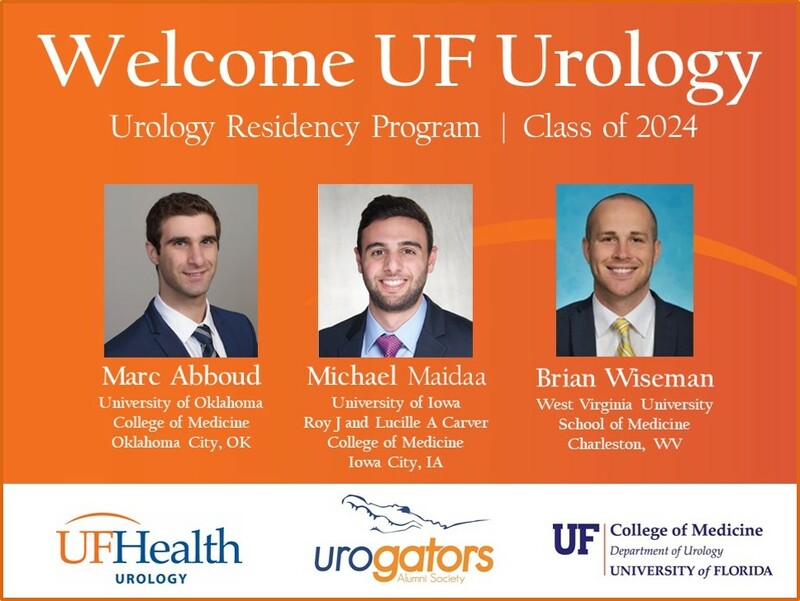 UF Urology Welcomes the Class of 2024! UF Health Urology family through the 2019 Urology Residency Match. This year we are honored to have Marc Abboud (University of Oklahoma College of Medicine), Michael Maidaa (University of Iowa Roy J and Lucille A Carver College of Medicine) and Brian Wiseman (West Virginia University School of Medicine) join our residency program. The application process was extremely competitive this year. patient-centered care on a daily basis. We look forward to the development of these three new bright minds. Go Gators!